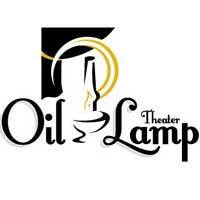 Oil Lamp Theater is a professional company located at 1723 Glenview Road in Glenview (just west of the intersection of Glenview and Waukegan Roads.) Oil Lamp’s intimate 60-seat performance space is as much a part of the artistic canvas as their carefully selected theatrical productions. The “Oil Lamp experience” begins with a warm greeting into this home-like environment -- which includes freshly-baked cookies! Performances at Oil Lamp Theater take audiences on a special journey that explores the human condition through the lens of relationships and love.